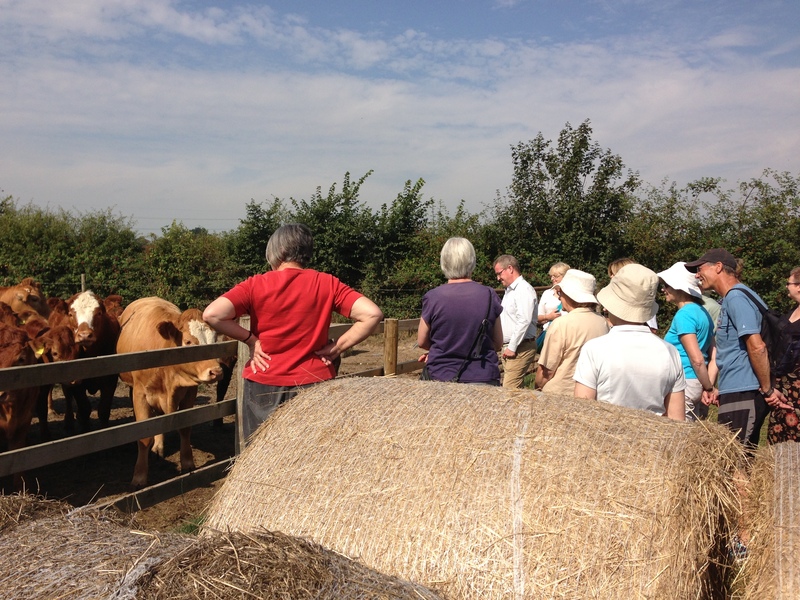 Today on my ‘Back to the Land’ project we went to Goodrest Farm on the outskirts of Kenilworth. 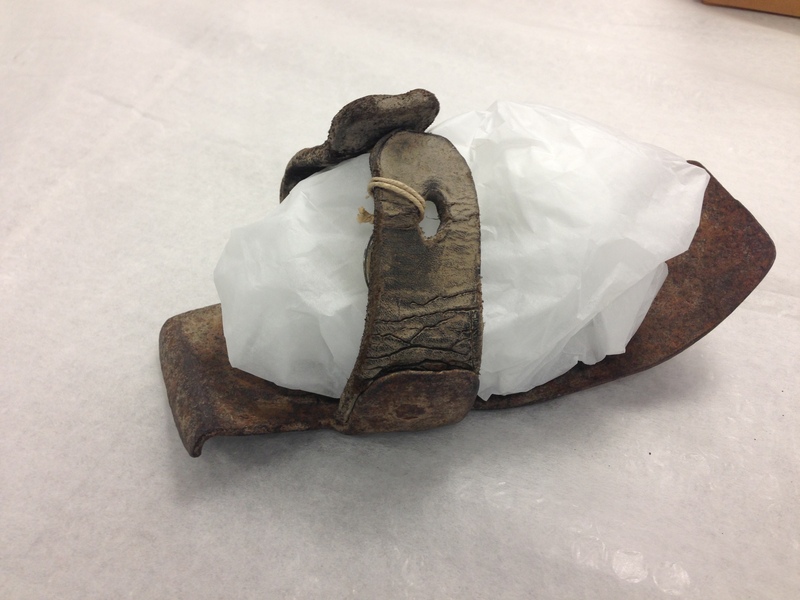 One of the artefacts we took back was a Foot Iron, these were slipped on over shoes to protect the latter. I had found this artefact particularly emotive. 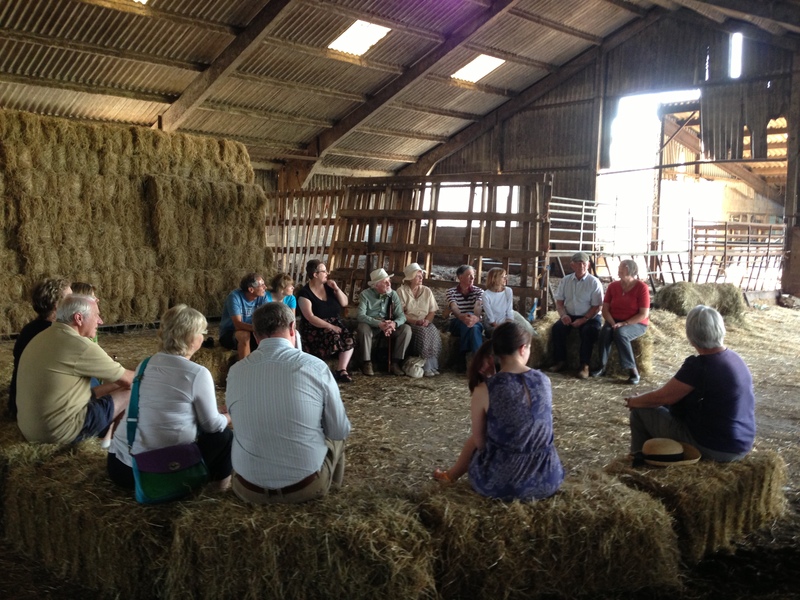 John and Brenda Semple, far right at the back of the photo, and their son Paul treated us to a fascinating account of farming from their childhood to the present day. This entry was posted in Back to the land and tagged artefacts, Goodrest Farm, Leamington Art Gallery, Warwickshire. Bookmark the permalink.